Bart was on the Phileas Club this week to talk about Ireland, and I was on Daily Tech News Show with Sarah Lane. Rick from Baltimore joins us with his first audio submission, where he tells us about how he discovered how to reset the People album in Apple Photos. I’ve found a tool called Grammarly to help me minimize typos that makes me happy. Bart brings us an out-of-band Security Bits session because of the big vulnerability discovered this week in WiFi. It’s oddly a reassuring session! 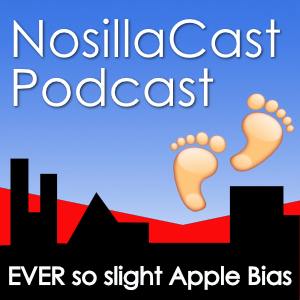 Hi, this is Allison Sheridan of the NosillaCast Mac Podcast, hosted at Podfeet.com, a technology geek podcast with an EVER so slight Apple bias. Today is Sunday, October 22, 2017, and this is show number 650. We’ve got a big show today with a contribution from Rick from Baltimore, and a special out of band episode of Security Bits. Bart and I thought it would be a good idea to talk about the KRACK vulnerability that has been the hot security topic this week. I’m very glad we had nearly a week to absorb what was going on because it went from hair on fire on Monday to, you probably don’t need to lose sleep over this by today. I’ve got a review for you as well so we should probably get started! I’ve told you before about one of my favorite non-tech podcasts, the Phileas Club. It’s not the kind of thing you’d think I’d be interested in. It’s all about international news and hosted by the wonderful Patrick Beja. Patrick has an amazing ability to get people to explain the culture and significant events in their countries. I bring it up yet again because this week he did a special episode all about Ireland, with one single guest, our very own Bart Busschots. I have known Bart for more than a decade and have had many discussions with him over the years about culture and history and religion and politics in Ireland, but I’m still learning a lot that we’d never discussed. He was a GREAT guest to have on the Phileas Club. Enough bragging about Bart, this week I got to be on the Daily Tech News Show again, but this time the show was hosted by Sarah Lane. Tom was recently able to add her full time to the team because of enormous support by his Patrons. She’s absolutely fabulous and I love watching and listening to her, so it was great fun to be able to be on a show with her. You can go watch or listen at DTNS 3142 – Twitter’s To Do List: Solve Hate at dailytechnewsshow.com. I love this, Rick! I think my favorite part was when you repeated that you backed up your Photos library. It’s a shame that it took random poking of buttons to figure this out, but I sure appreciate you finding it and telling us all about it. I tried setting up Faces (when it was called Faces) in Photos ages ago but I ran out of steam when I figured out that it didn’t sync across devices. I’m not sure I’ll get the energy up again but maybe you’ve convinced me to start again. Photos does do some guessing on its own. I found something in my People album that really made me smile. My brother Kelly passed away a few years ago, but he was a huge Apple fan. In People, under Kelly, Apple Photos had put a thumbnail of a photo I took of Steve Jobs and Bill Gates on stage at All Things Digital. 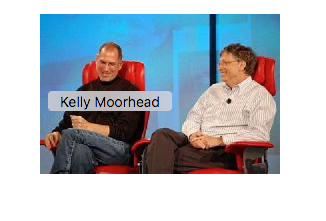 Luckily it was Steve Jobs that was labeled as Kelly Moorhead! As you’re perusing Podfeet.com to read articles and listen to the podcasts, please pay special attention to the Amazon links you may find. The links used are affiliate links. By buying through the links I may receive a commission for the sale. This has no effect on the price for you.